At the time of this blog’s publication, Mom + I will be fully immersed in all things EQ8 (“EQ8” is lingo for Electric Quilt 8). You see, right now we’re attending EQ8 Academy – a 4-day EQ8 bootcamp. That’s right, we are leveling up our EQ8 game and we think you should too. Prior to attending EQ8 Academy, mom and I had a pretty good handle on EQ8. I think we started using EQ during the EQ6 days. Today we’ve listed 8 reasons we use EQ8 every day when designing our quilts. Do you want to see what your quilt will look like in several color palette options before you commit to buying fabric? Well EQ8 has got you covered! You can use their fabric + color libraries, or even better, upload images of the actual fabric you’d like to use. Pop those into your quilt, and boom! You’ve got yourself a pretty good idea of what your quilt will look like. Indian Hatchet – A great way to showcase all our low volume fabrics. 2. EQ8 Can Organize Your Fabric! EQ8 can’t come over and tackle your sewing space (if only!! ), but it can help you organize your fabric digitally. I lOVEEE digitizing + organizing our fabric collections. I name all our fabrics so that I can always reference them (you never know when you will need more yardage!). Bricks – We catalogued Sweetwater’s First Crush fabric line and incorporated all of them into this beautiful quilt. EQ8 will help you get on the same page as your clients when working on their custom quilt orders. Once you’ve settled on a design and sent the mock-up over to your client, she will know exactly what she’s getting. Minimizing surprises during the custom quilt order process is always a good thing! Navy, Hot Pink + Teal: Our Client wanted to see her fabrics in Diamonds and Triangles – she went with Diamonds! Do you have a block ruler collecting dust? I had a Half Rectangle Triangle ruler sitting in our toolkit for a while, and I wasn’t sure how to use it to design a quilt. So I created an HRT block in EQ8. With 3 quick clicks using EQ8’s symmetry tool, EQ8 helped me visualize 3 amazing HRT designs. Mom + I have only scratched the surface to the powerful block drawing tool that is within EQ8, but we plan to do a whole lot more drawing in future quilts! EQ8 allows you draw patches, rearrange pieces, and build unique quilt blocks! The Drawing Tool is perfect for all you out-of-the-box thinkers out there! Have you ever been stuck wondering how much fabric you need for a quilt? EQ8 has nifty yardage, template, and rotary cutting exports so you know exactly how much fabric you need. EQ8 has an extensive library of blocks that comes straight out of the box! Last I checked, I think it has 6,000+ blocks already built in! And if that’s not enough, you can purchase block add-on’s and build your block library even more! It’s so fun to click through all the blocks and play with them and see how they can fit together! Lastly, if you’re like us, dedicated wall space for a “design wall” is limited. Luckily, EQ8 can act as your design wall! You can easily switch, rotate, replace blocks – without having to physically take them up and down on a wall! And do you want to see your quilt in different sizes? EQ8’s quilt layout function does just that. With simple adjustments, you can easily re-size your quilt to your preference. Windhaven – We needed a larger quilt in order to incorporate a lot of bonus HST’s we had on hand! Going digital with our quilting has made all the difference for us and we feel it will do the same for you! Have a good working laptop or computer. Knowledge on how to save and organize files. 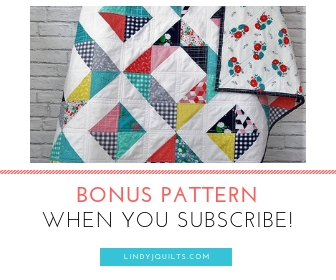 Those 2 fundamentals will get you going the right direction when you start designing your quilts! Hope you enjoyed learning all about why we think EQ8 is an amazing quilting tool! Leave a comment below and let us know if you use EQ8, or are interested in trying EQ8 out! Next Post Serendipity + Symmetry: Watch Us Design “Lottie’s Squares” in EQ8!